Zane Tetevano was hurriedly changing his baby’s nappy on the bonnet of his car in Woy Woy. This was only yesterday morning, the Sydney Roosters interchange forward doing dad duties as about 120 kids at the NRL club’s holiday camp at Rogers Park took a mid-morning drinks break. Tetevano is one of, I’d estimate, 80 NRL players that still don’t have a contract for next season. He’s battling hard to get a new deal. There’s uncertainty there. A lot of clubs have locked in a significant chunk of their first-grade squad for next year. He’s certainly had his troubles away from the field. That might be a factor working against him, especially for clubs other than the Roosters. 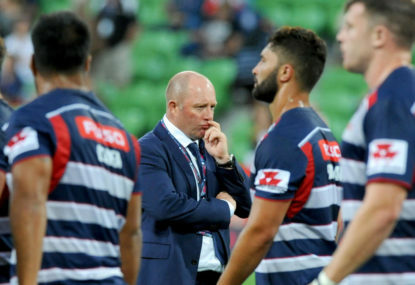 I didn’t ask Tetevano if he is peeved at Roosters HQ for not having his future sorted by now. I assume he’s putting his head down to snare that next contract, and helping to coach concentration-deprived six-year-olds is another way of showing he’s worth investing in. Tim Taranto was chosen at No.2 in last year’s AFL draft. He was an 18-year-old Melburnian that had to wait until November 25 to know where he was to spend his first two years as an AFL-contracted player. He went to Greater Western Sydney. Now that’s uncertainty – particularly for a teenager – and he had only a few weeks to pack himself up, say see ya to his family and friends and be ready to rip into pre-season training in another city to chase his AFL dream. No.3 pick Hugh McCluggage, from North Ballarat, was sent to Brisbane. Next was Ben Ainsworth, from the Gippsland, who went 1700km away to the Gold Coast. At the end of November, remember. The AFL’s trade period is held in mid-October. Pretty late in the year for an established player – potentially with a family – to up sticks and possibly shift states. There’s uncertainty in every professional sport, not knowing whether a current team will make an offer, or whether a rival club will try to lure a player away, domestically or internationally. Soccer, basketball and cricket are just a few examples of sports that have a vibrant and far-reaching player market. There’s uncertainty for you, me and everyone else looking to hold down a job. In any industry. Change can come at you fast. 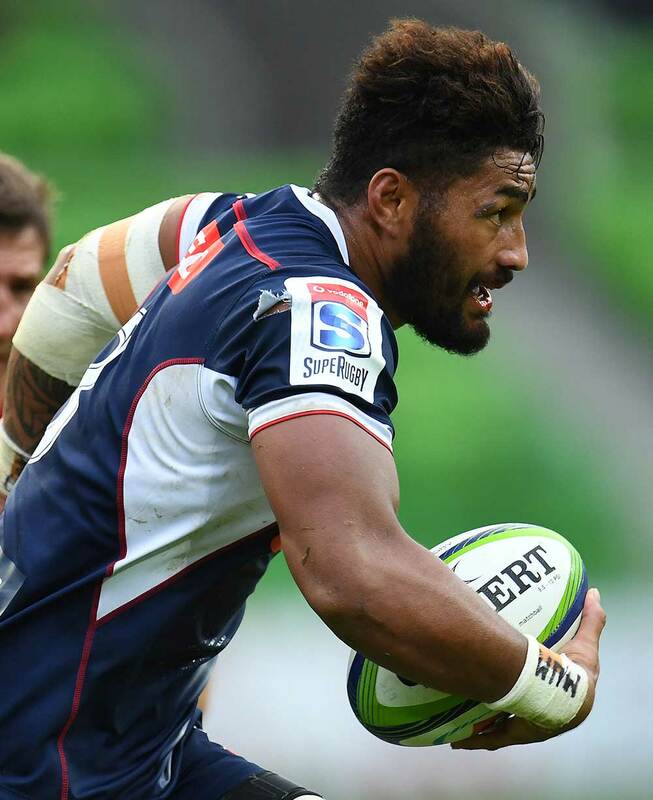 Which brings me – again – to the plight of the Melbourne Rebels and their fight for Super Rugby survival. At about the same time on Thursday morning that Tetevano was running drills with the kids, Rebels centre Mitch Inman was in Melbourne blaming the ARU for “lack of transparency… about where our future is heading”. “There’s been a few things off the field that haven’t been handled as well as we’d like them to be and that’s showing with the on-field performances,” said Inman. The 28-year-old is the latest Rebels player or coach to moan about their treatment. Morgan Turinui’s we-can’t-re-sign-rental-leases spray was laughable in parts. So this is the thing – why do the Rebels act like they are some infallible institution? They seem to arrogantly carry on like they’ve earned a right to remain. Well they’ve been horrible this year and ordinary for seven seasons. They are second-last on the overall table at the moment. If you’ve been bad for a while, don’t expect any favours. Just ask the NSW Blues. NBA and NFL teams get moved around reasonably regularly when they don’t do well on the field and flop financially. Onto the next city. Sometimes rebranded. In terms of sprays directed at the ARU, Inman’s was far from a vicious one. But it’s wearing thin when another Rebel mopes about the uncertainty and lack of transparency by the ARU. The Rebels have failed. Emphatically. Don’t point the finger of blame when you win one of 14 games in a season. And finish outside the finals for seven straight years. They’ve conceded a jaw-dropping 537 points this season. Do they want us to believe it’s Bill Pulver’s fault they’ve scored a pitifully low 21 tries in 2017? In 14 games! Critics of the ARU point out that they should never had agreed to the latest expansion. But that doesn’t take away from the fact that Australia’s teams have been outclassed too many times this season. The gulf to the New Zealand teams has never been greater. Maybe Inman has perspective. Maybe he’s aware of the uncertainty across the rest of the sporting sphere – and indeed in all walks of life. But Super Rugby isn’t going well. Rationalisation needs to occur. Cuts needs to be made. They’re clearly one of two weak links – along with the Western Force – among the Australian teams. They are the wounded lamb that can’t keep up. They might need to be sacrificed. But they’re not hard done by. Expect that you might be vulnerable if you don’t perform. Sport is black-and-white in that regard. Wins are your currency. Bank them and bank them often. The Rebels have been given a fair go and the players and coaches shouldn’t blame anyone but themselves. The Rebels are all tough men playing a tough game. Perhaps they should start to show the same resilience off the field as they would on it. It wasn’t a massive moan from Inman, but a whinge nonetheless when he could’ve refused to pin the blame on anyone but his own club for not coming up with the goods when it mattered. South Africa’s Southern Kings reacted far differently. After they were named on the endangered list, they lifted. They’ve showed the Rebels how to respond to adversity and uncertainty. The Rebels have had time to dig in and establish themselves as a successful franchise. They wouldn’t have to look far to know what’s possible in a short space of time. The Melbourne Storm won the NRL premiership in their second season in 1999. Perhaps this all proves the Rebels lack the professionalism to succeed. We heard throughout the season the cliches about being focussed on the on-field stuff and putting the axing talk aside because they do what they do best on the field and all that. But now there’s an opportunity to blame someone for their on-field woes, it seems an opening too tempting to turn down.